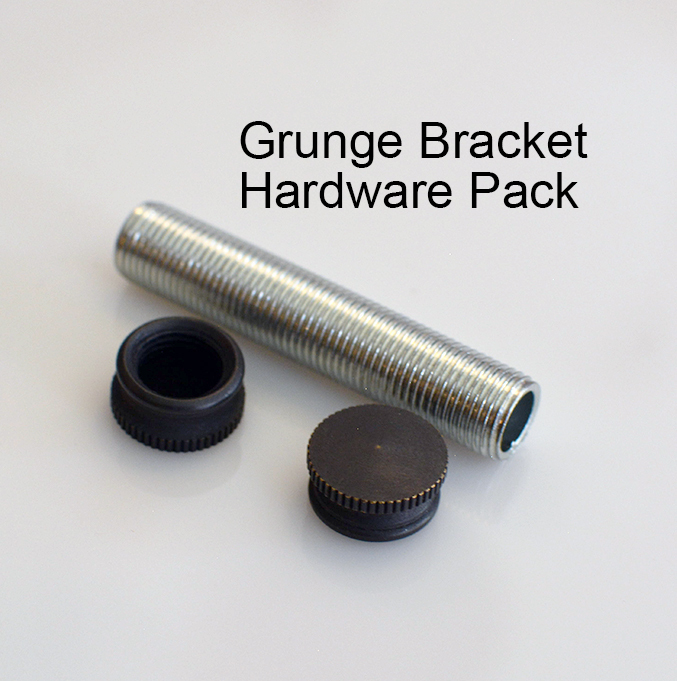 This Bracket is designed to work with our GRUNGE 3" Pulley wheels although you can certainly use them for anything else. This listing is for the Bracket ONLY. Optional Hardware Pack is available above the "Add to Cart" link. Included in this listing is the bracket only. Product photos may show the bracket attached to other hardware and devices or with wire........ this product is the bracket itself. *Please note that this bracket will have nicks, scratches, smudges, tool marks, embellishments, flawed finish, etc. We have done this purposely to create a character not found on modern day off-the-shelf perfect products. All of the blemishes are included at no additional charge.